Petal Promenade Petal Fold Card & Bloomin' Savings! Today I'm sharing a pretty little petal-fold card that is perfect for a special occasion or that special someone! But first, if you've ever wanted to try the Paper Pumpkin monthly craft kits, now is the time! First-time subscribers can receive their first kit for 50% off when they subscribe for the August kit! Subscribe Here By August 10 To Get 50% Off! The gorgeous floral papers from the Petal Promenade Designer Series Paper are perfect for beautiful cards for special occasions! The patterns are actual photos of real flowers in the most amazing colors! Check out this cool video to see the process for making this paper: The Making of Petal Promenade DSP. Today's petal fold cards are a lovely way to send best wishes for a bridal shower, wedding, anniversary, or birthday. It's just big enough to add a gift card, too! 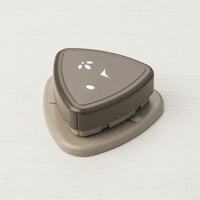 SAVE On This DSP! 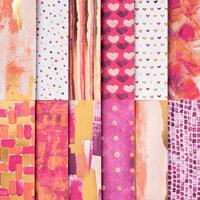 Petal Promenade DSP is included in the Buy 3, Get 1 FREE Designer Series Paper Special this month! Stock up & SAVE! CASEd from Ronda Wade at Creating Success Stamp With Ronda. Card Basics—I love that this card only uses a 6"x 6" quarter sheet of Petal Promenade DSP, so you can get 4 cards from each sheet! 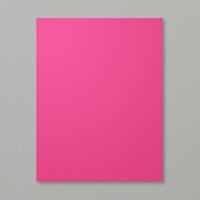 The final dimensions of the card is 3-3/4" x 3-3/4", so it fits nicely into a standard A2 Medium Envelope. 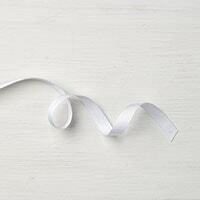 The card is secured closed with Whisper White Polka Dot Tulle Ribbon. 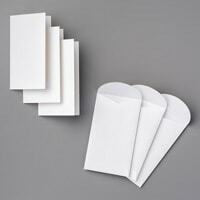 It's essentially a mini envelope and is created with the Envelope Punch Board. Creating The Card—Put the first edge of the paper in the Envelope Punch Board at the 3" mark, then punch down and score along the diagonal line with the bone folder included with the board. Next, you'll rotate the paper, line up the score line with the "point" on the Envelope Punch Board, then punch and score. Rotate and repeat for the next two sides, then simply fold on the score lines to create the Petal Fold card style. 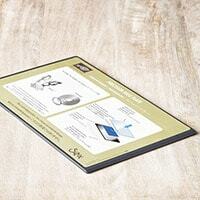 Learn more about the Envelope Punch Board. Inside Layer—I stamped the Enjoy Life sentiment in Memento Tuxedo Black ink onto a 3" x 3" piece of Whisper White cardstock. I punched each corner with a decorative accent using the Detailed Trio Punch, then layered it onto a 3-1/4" x 3-1/4" piece of Melon Mambo so the color peeks through! It's adhered to the center of the petal fold card with SNAIL. Two Cool—I stamped the Enjoy Life sentiment in Memento Tuxedo Black ink onto a 2-1/8" diameter circle die-cut with the Layering Circles Framelits. It's popped up onto a 2-3/8" x 2-3/8" diameter Melon Mambo circle, then popped up again onto a Pearlized Doily. I wrapped the Tulle Ribbon around the card first, then added the sentiment to the left flap with more Dimensionals. 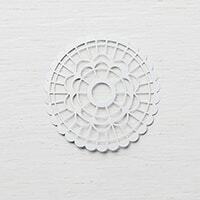 TIP: You may want to add a white circle die-cut to the back of the doily, so the adhesive doesn't show through on the back when you open the card. 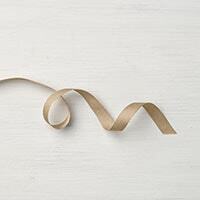 Finishing Touches—I finished by tying the ribbon into a bow and adding a single coordinating Artisan Pearl. So sweet! Two Cool—For the second project, my intention was to create a bigger card that would still fit onto a Medium Envelope, but I measured incorrectly. It ended up being 4-3/8" x 4-3/8", so it's just a little too big for the envelope. If you find the final size you want on the chart right on the Envelope Punch Board, and use the correct measurements, you'll be able to make your petal fold card in any size you desire! Try it! Lovely Layers—I used a different pattern from the Petal Promenade DSP and die-cut a Calypso Coral circle to match. The sentiment is from Picture Perfect Birthday. Otherwise the outside is the same. Inside The Card—The inside sentiment is also from the Picture Perfect Birthday stamp set. 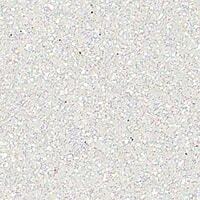 The Whisper White layer is 3-1/2" square and the Calypso Coral mat is 3-3/4" square. I'm loving this fun-fold card for something a little different! Too Cool! Are You A Fan of the Realistic Photo Patterns on DSP? FREE Glitter Enamel With $75 Order In July! Apply Host Code GJDTGMEK at Shopping Cart. See Details. 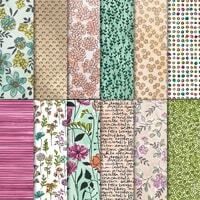 Buy 3, Get 1 FREE Select Designer Series Papers! July 1 - 31, 2018. See complete details. 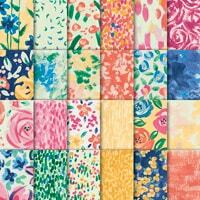 Shop Designer Series Papers Now! 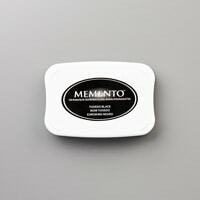 10 FREE Ink Pads With Starter Kit Purchase! July 1 - 31, 2018 • See Complete Details. Purchase A $99 Starter Kit Now! I'm a little preoccupied today, because my little Miss Millie is at the vet getting spayed. Poor, poor Millie! I've already heard that her surgery went fine, so we're just waiting to pick her up later today. So, it's just been me and the boy hanging out all day. Poor Jax has been so sad without his Millie-girl. But, we've had some extra treats and lots of extra snuggle-time. He sure is the best snuggler when he's sad. Awww! Today, in honor of Millie's "special day" with stitches, I'm sharing a Stitched All Around Special Day card. How's that for a horrible segue?! LOL! I'll be sharing a couple more Stitched All Around cards today on my Too Cool Stamping VIP Facebook Group. Have you joined yet? I like to share extra ideas in our VIP group, along with other bonus content. Join today! Created by Amy Van Huisen. I received this pretty swap card created by Amy Van Huisen. I adore the soft colors and sweet stitched details—so lovely! Background Basics—Amy used the Very Vanilla Note Cards & Envelopes for the card base. The Stitched Labels Framelits include a couple pretty border dies and Amy ran the cross-stitched border edgelit through the Big Shot to create the pretty cut details along the top and bottom of the card front. Next, she stamped the leafy border image from Stitched All Around in Blushing Bride ink next to the stitched border. Lovely Layers—Amy adhered a 5" x 1-3/4" strip of Soft Sea Foam cardstock across the middle, then layered a 5" x 1" strip of Garden Impressions Designer Series Paper over that. She finished the background layers by adding a strip of the Gold & White Metallic-Edge Ribbon, secured with SNAIL adhesive. Stitched Sentiment—It's the gorgeous, intricately-cut label from the Stitched Labels Framelits that is the real show-piece of this bundle! Amy die-cut the label in Very Vanilla cardstock. I love the combination of holes and stitching around the edges! She stamped the Stitched All Around sentiment in VersaMark ink, then heat embossed it with Gold Embossing Powder. The label is popped up with Dimensionals and accented with a few Artisan Pearls (get them FREE this month with your $75 order from me using Host Code R4PHWH3B). Embellished Envelope—Amy also added some coordinating DSP to the flap of her note card envelope. Love that coordination! 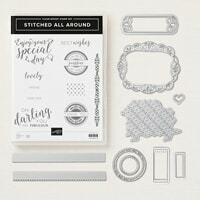 Bundle & SAVE!—Purchase the Stitched All Around stamp set & Stitched Labels Framelits together as a bundle and save 10%! How Do You Like The Faux-Stitched Look On Cards? Sample 142 NEW Designer Series Papers For Only $42! June 12 Update: We Need 4 More For The Next Share! NEW 2018 In Color Club Signups Open! For a limited time only, I'm offering a budget-friendly way for you to add all of the NEW In Color cardstock, ink, refills, markers, designer paper & ribbon to your stamping collection—one color at a time! Each month, over the course of 5 months, each participant will receive these supplies in ONE new In Color. Reserve Your In Color Club Spot Now! June 12 Update: Only 1 More Spot For The Next Club! Collect The NEW Color Revamp Colors! Save Your Budget! Order Over 4 Months! Reserve Your Color Revamp Club Spot Now! June 12 Update: 3 More Needed For The Next Group! FINAL DAY: Retired Items & Share What You Love Bundles! Did you look through the 2017-2018 Catalog Retired List one last time? Did you check out the 2018 Occasions Catalog Retired List, too? 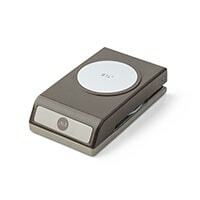 Many retiring items are on sale...did you see anything on the Discounted Retired List? Are there any Discounted Bundles you want to get at 10% off? Have you stocked up on the retiring 2016-2018 In Colors that you love? 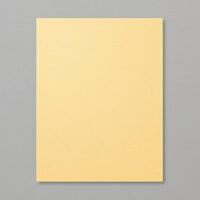 Cardstock? Refill Ink? Have you stocked up on your favorite retiring colors from the Color Revamp? The special Share What You Love Bundles with FREE gifts & 30-Project Tutorial end May 31, too! 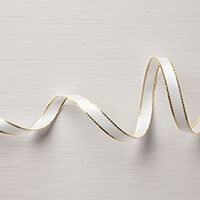 Receive FREE Linen Thread with your $50 order with Host Code: 9QYUKNHH. LAST DAY—Share What You Love Suite BUNDLES! With FREE Bonus Gifts—May 1-31, 2018. See Complete Details. LAST DAY—Receive 30 FREE Project Tutorials—Want more Share What You Love project ideas? 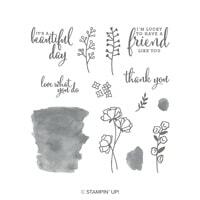 Purchase any of the Early Release bundles from me at my Too Cool Stamping Online Store, and I'll send you a step-by-step tutorial PDF for 30 phenomenal projects! This special collaboration with my demonstrator friends is an exclusive offer good thru May 31 only! CASEd from Ronda Wade at Creating Success with Ronda. Today, I'm sharing a unique card that is perfect for giving a little something extra with your well wishes. The foundation of the card is created with two envelopes that are adhered together then covered with a decorative card front. Inside, the envelopes become pockets to hold messages, gift cards, photos, tickets and more! I used items from the Share What You Love Gotta Have It All Bundle to make the projects. The papers in the Share What You Love Specialty Designer Series Paper pack are so beautiful that I couldn't stop making different versions of this card! You won't be able to stop either, once you see how easily it comes together! 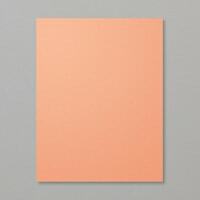 Front Cover Basics—The front cover of this card is a 9" x 5-7/8" piece of cardstock, scored at 4-1/2" along the 9" side. Here, the base was created in returning color Mint Macaron. I embossed a 4-1/4" x 5-5/8" piece of Mint Macaron with the Simple Stripes Texture Impressions Folder, then mounted it onto the front with Tear & Tape Adhesive for a secure hold. 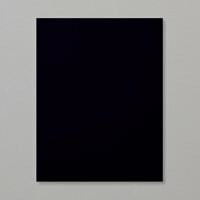 Focal Point Background—I created a background for the sentiment by layering a coordinating 3" x 4" piece of Share What You Love DSP onto a 3-1/4" x 4-1/4" mat of Basic Black. I wrapped a 24" piece of the Whisper White Classic Weave Ribbon around the card front, then popped this layer over the top with Dimensionals, letting the ribbon move freely. You'll tie up the ribbon after adding your goodies to the inside. Sweet Sentiment—I stamped the Love What You Do sentiment in Memento Tuxedo Black Ink onto Whisper White, then punched it with the 2-1/4" Circle Punch. It's layered onto a Dazzling Diamonds scallop circle, die-cut with the Layering Circles Framelits. Both of the circles are popped up with Dimensionals. Since this card is larger than the standard size card, it doesn't matter how much it's popped up. It's not meant to have an envelope, since it's created with envelopes! 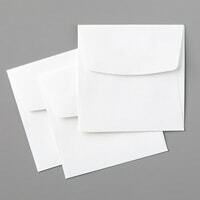 Inside Envelopes—The inside is created by adhering the flap of the left envelope to the back of the envelope on the right. 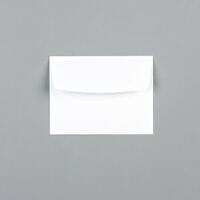 The flap on the right envelope is folded back and adhered on the backside of the envelope. 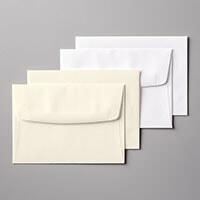 This allows both envelopes to become large pockets that open to the right. You can add a standard size 4-1/4" x 5-1/2" message on a cardstock piece with a little pull tab, tuck a gift card inside one or both pockets, or even add a traditional card! There are lots of possibilities of things you could include, making this project very versatile for all sorts of occasions! The envelopes are adhered to the card cover with Tear & Tape Adhesive. I left the inside blank here, but you could easily add some coordinating cardstock or DSP to liven it up a bit! Two Cool—After I completed one envelope pocket card, I decided to try out the other colors from the Share What You Love suite! Here's one in new Grapefruit Grove with pearlized accents. Three Cool—This one features the So Saffron pearlized DSP pattern. 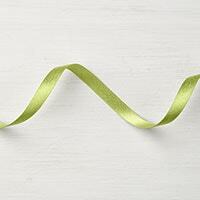 Four Cool—I featured Old Olive with the dainty floral design on this one, along with the Berry Burst Metallic-Edge Ribbon. Five Cool—Rich Razzleberry is the base of this card, along with the pearlized Share What You Love floral and Crumb Cake Classic Weave Ribbon. Six Cool—Tranquil Tide cardstock and the coordinating pearlized floral is highlighted on this card, along with Pear Pizzazz Shimmer Ribbon. Seven Cool—Last, but not least, Blackberry Bliss makes a showing with the dotted DSP and more Pear Shimmer Ribbon. Which Color Do You Like Best? What Would You Put Inside? SAVE On Last Chance Discounted Products! There are about 5 dozen items from the Retired List that are now discounted from 25% to 50% off! Save on tools, embellishments, paper and more! Would You Like A New Catalog? I've mailed out the first round of catalogs and will be sending more out at the end of the week. 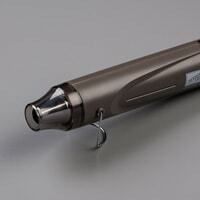 If you are not currently working with another demonstrator, I would be happy to send you a catalog for FREE! US Residents only. Yesterday, I shared the Lots To Love boxes that we'll be making with my Sure Do Love You class. Today, I'm featuring two little note cards that are designed to fit inside the Lots To Love box! We'll be making those with the class, as well! Registration closes on Monday! Earn FREE Sale-a-Bration Items With Your Sure Do Love You Class! Did you know that when you order my Sure Do Love You Class kit along with the Lots To Love Box Framelits Add-On, you'll be able to select a FREE Sale-a-Bration item, too? Additional shipping may be charged. Visit the Sure Do Love You Class Details page for complete details! The NEW Whisper White Narrow Note Cards and envelopes make sweet little Valentines on their own, but I love that I can slip one inside of a Lots To Love Box along with a little treat! Or, simply add a whole set of 4 note cards into the box for a whole gift set to give as your Valentine's treat! NEW Narrow Love Notes—The new Whisper White Narrow Note Cards & Envelopes are designed to fit inside this cute Lots To Love box! 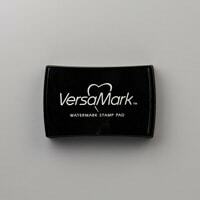 They measure 2-1/2" x 4-1/2" and have their own cute little white envelopes with a curved flap that matches the look of the box. 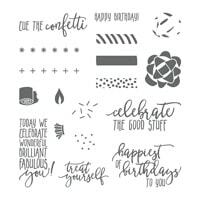 They are great for ANY occasion as a little gift note, so I'll be keeping them on hand for birthdays and other special events. Plus, they are large enough to hold a gift card, too! Background Basics—I decorated the front of the 4-1/2" x 2-1/2" note card with a 4-1/4" x 2-1/4" piece of the Painted With Love heart patterned paper. I added a 4-1/4" x 3/4" strip of Rich Razzleberry to create a foundation for my focal point elements. 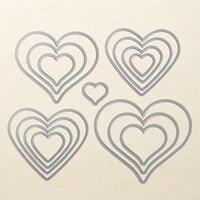 Sweet Hearts—I die-cut the Melon Mambo card stock heart using the Sweet & Sassy Framelits, adhering it with SNAIL. Next, I stamped the conversation heart images from Sure Do Love You in Calypso Coral onto Whisper White, then die-cut it with the Lots To Love Box Framelits and adhered with SNAIL. Gold Accents—The Gold Foil "love" word is die-cut using the Sunshine Wishes Thinlits, then adhered with the Fine Tip Glue Pen. TIP: For best results, I recommend using the Precision Base Plate when die-cutting these intricate words, especially from Gold Foil. If you look closely, you'll see that I also added a couple of tiny, individual Gold Flakes at the base of the hearts for just a bit of shine! Envelopes—I stamped onto the matching envelopes using images from the Sure Do Love You stamp set. The large solid heart is stamped in Calypso Coral, the border heart in Melon Mambo and the sentiment in Rich Razzleberry. They match the Lots To Love Boxes beautifully! 6th Annual Occasions & Sale-A-Bration Kickoff Party! Create 20 DIFFERENT CARDS featuring dozens of new products! Enjoy hourly prize drawings, exclusive specials and receive fun Bonus Products in your kit! January 28, 1-5pm, at my Too Cool Stamping studio in Fort Wayne, IN. Limited space available, so register early! See Complete Occasions Kickoff Party Details! It's just 4 more days until the kickoff to our annual Sale-a-Bration promotion AND new products from the Occasions Catalog! Today, I'm sharing a two pretty Valentine's cards created by Too Cool team members Kathe Madsen & Peggy Tassler! But first...have you reserved your Stamparatus stamp positioning tool? Only 2 more days to reserve yours for a spring delivery! If you miss this final reservation window, you'll have to wait until the Stamparatus is released in the 2018 Annual Catalog on June 1. 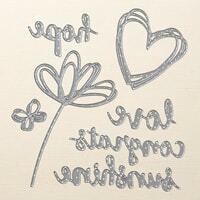 LAST 2 DAYS To Reserve Your Stamparatus For Spring Shipment! Next Chance To Order Is Not Until June 1! Reserve Your Stamparatus Now Thru December 30! Log in or create a Stampin' Up! account, then click on the Stamparatus Reservation link. The lovely Painted With Love suite combines beautiful gold foil accented Designer Series Papers with pretty hearts from the Sure Do Love Bundle! 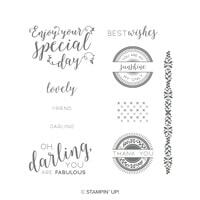 I'll be featuring these products in my Sure Do Love You Stamp-of-the-Month Class for Janaury. Details coming soon! Background Basics—Kathe Madsen created this card for the team swap we had in January. She adhered a 1-1/2" x 5" strip of the Painted With Love DSP to the 3-3/4" x 5" Whisper White background. She tied some of the NEW Love Mini Tinsel around the layer. This new version is similar to the silver & red Mini Tinsel in the Holiday Catalog. 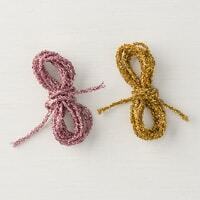 The new combo includes gold and Powder Pink tinsel. The layer is adhered to a 4" x 5-1/4" layer of Melon Mambo, then mounted onto a Calypso Coral card base. Textured Heart—Kathe used the Lots To Love Box Framelits to die-cut a Melon Mambo heart, then texture embossed it with the Garden Trellis Embossing Folder, then adhered it with SNAIL to the card front. Embossed Heart—Kathe stamped the sentiment from Sure Do Love You in VersaMark ink onto Calypso Coral, then heat-embossed it with Gold Embossing Powder. It's also die-cut with the Lots To Love Box Framelits and popped up with Dimensionals. Quick & super-cute! Background Basics—Peggy Tassler created this cute little Valentine note card for some thank you cards. She decorated the front of the 3" x 3" Rich Razzleberry note card with a 2-3/4" x 2-3/4" striped Painted With Love Designer Series Paper. That's my favorite pattern from this DSP pack! Happy Hearts—Like Kathe's card, Peggy die-cut the Melon Mambo heart with the Lots To Love Box Framelits, then she embossed it with a brand new Scatter Sequins Dynamic Embossing Folder. Peggy stamped the little "conversation" style hearts from Sure Do Love You with VersaMark onto Powder Pink, then heat-embossed with Gold Embossing Powder. Those were die-cut with the same framelits set, then popped up with Dimensionals. She finished the card by tying a simple knot in the gold Love Mini Tinsel, fraying the edges and attaching it to the center of the large heart with a Glue Dot. So sweet! Don't Forget The Mini Envelopes—The 3" x 3" Mini Envelopes featured in the Holiday Catalog are carrying over into the new year! Woohoo! NEW Occasions Catalog PDF—Browse The PDF. Sale-a-Bration Brochure—Earn exclusive items & extra goodies! Paper Pumpkin 3-Month Subscription—Only $55 thru March 31. 2017 Occasions Catalog & Sale-a-Bration Kickoff Party—Local only. January 29. Register by Jan. 22. Sending Love Valentine's Class Treats Class—Local & online class. Feb. 5 Register by Jan. 23. January Stamp-of-the-Month—Online class featuring Beautiful You. Register by Jan. 23. Details soon. "Last Thursdays" Monthly Card Class—Local class January 26. Sale-a-Bration Celebration—Local & online. Exclusive FREE April 16 event you EARN! ►January Hostess Code: J47VBQN6—Online order code to qualify for the Sale-a-Bration Celebration! Hey, moms! Valentine's Day is coming up soon! Have you thought about Valentine's treats for your child's classmates? Why not spend some quality creative time with your child while you help them make little gifts that are thoughtful, yummy & Too Cool! My Sending Love Valentine's Class Treats Class is a kit with all the makings of 24 M&Ms treat holders. 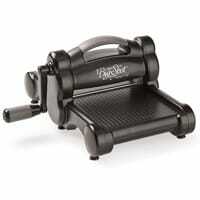 It has a cool pull-slider opening, plus a tiny little note in a mini envelope where your child can write a message! Kids will LOVE them! Join us at my local class on February 5, or order a class-to-go kit to do on your own. Hurry! Registration ends on Monday, January 23! It's Project Sheet Friday, and I'm in a Valentine's kinda mood, so today I'm sharing two sweet Valentine's cards with a pretty die-cut heart border! Create 24 Treats! Local & Class-To-Go. Feb. 5. Register by Jan. 23. 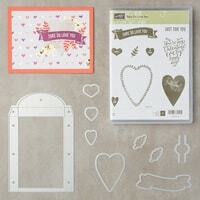 How cute is that die-cut heart border?! That details instantly takes your Valentine's cards to the next level of coolness! Background Basics—Fold a 5-1/2" x 8-1/2" Pink Pirouette card base in half and run it through the Big Shot with the Love Notes heart border framelit. Ink the Sealed With Love Valentine's greeting in Real Red and stamp in the lower right corner. Hearts Collage—Die cut a Gold Foil heart and a Real Red heart with the Love Notes Framelits, then adhere them to the card front with Multipurpose Glue. Die cut a Whisper White circle using the Stitched Shapes Framelits and adhere to the card front over the top of the hearts using Multipurpose Glue. Mini Envelope—Die cut the envelope from Sending Love Designer Series Paper. 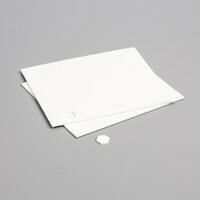 Roll on some Pick Pirouette ink onto the inside of the envelope flap with a Sponge Brayer. Assemble with Glue Dots. 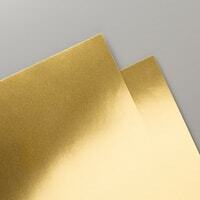 Die cut a Gold Foil arrow with the Love Notes Framelits, snip in half and attach to the back of the envelope. 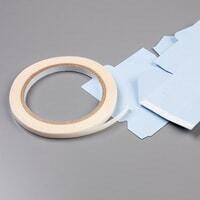 Adhere with more Multipurpose Glue. Finishing Details—Die cut a Whisper White note with the Love Notes Framelits. Stamp with Sealed With Love hearts in Real Red ink. 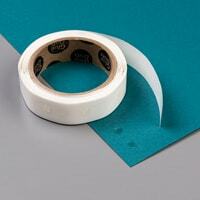 Add three sequins with Multipurpose Glue. Created by Susan Elise Morton. That pink hearts border looks amazing in Real Red, too! Here's a "Two Cool" version of this card! Background Basics—Lay the Love Notes die along the right side of the Real Red card base with the hearts just touching the edge and run through the Big Shot. 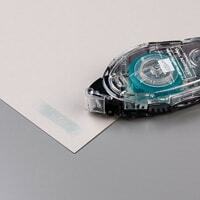 TIP: Adding a sheet of wax paper between the card stock and the die will help it release easier. Adhere 2" x 5-1/2" strip of Sending Love Designer Series Paper onto the inside of the card border. Sweet Sentiment—Stamp the Sealed With Love greeting in VersaMark ink onto the card front. 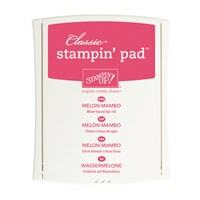 Sprinkle on White Embossing Powder and heat with a Heat Tool until glossy & smooth. Envelope & Note—Die Cut an envelope from the Sending Love DSP, adhere with a Glue Dot and add to the card base with Glue Dots or SNAIL. Stamp a tiny row of hearts in Real Red ink onto Whisper White scrap, then die-cut with the Love Notes Thinlits. Attach to the card with a Dimensional. Registration Closes On January 23, 2017—Sign Up Today! Occasions & Sale-a-Bration Kickoff Party Details! Contact Me By January 22 To Reserve Your Spot! Do you need some sweet treats for an upcoming Valentine's Day event? I've got the perfect class for creating some cute little Valentine's for your student's classmates, favors for a party, or thoughtful little gifts for friends & co-workers! Join me for my Sending Love Valentine's Treats Class! Today, I'm giving you a close-up look at these easy-to-make, adorable little treats! CASEd from Dee Slater at Create With Dee. If you remember the Snow Place Candy Bar Pull-Treat that I created last fall for my craft fairs, then you already get the basic concept behind these cute Valentine's treat holders. Pull the ribbon and the treat slides out of the pouch! Too Cool! These are smaller versions of the pull-treat holders that fit the fun-size M&Ms perfectly! 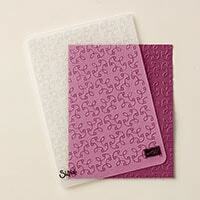 The 6x6" Sending Love Designer Series Paper Pack is the perfect size for making the holders, too! Holder Basics—Each holder starts with a 4" x 6" piece of the Sending Love DSP, scored along the 6" side at the 1/2" mark with the Simply Scored tool. I placed the "right side" of the pattern down on the table, folded back the tab, and added Tear & Tape Adhesive down the length of the tab. I also added Tear & Tape along the bottom of the pouch. I carefully folded over the DSP to adhere flush along the tab and bottom, and used a Bone Folder to crease it nicely. Each Sending Love DSP Stack has 48 sheets, so it only takes a half pack to make enough for the whole class! Pull-Mechanism—I punched a 1/4" hole at the top using a standard hand-held hole punch. 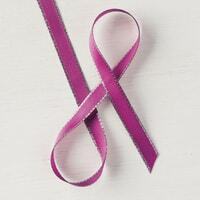 I threaded a 18" piece of the Real Red Stitched Satin Ribbon through the hole, meeting the ends at the top. Then, I carefully slid the candy into the pouch, pushing the ribbon down the pouch and around the candy. I tied the loose ends up with a piece of Whisper White Thick Baker's Twine, then trimmed up the ends. Treat Décor—Now it's time to decorate the pouch any way you like! I started with a Pool Party circle die-cut made with the Stitched Shapes Framelits and popped up with Dimensionals. Next, I fishtailed the ends of a 2-1/2" x 1/2" piece of Blushing Bride Glimmer Paper with my super-sharp Paper Snips and tacked the banner down with SNAIL adhesive. Love Notes Envelope—I used all of the varieties of Sending Love DSP, sometimes selecting the Real Red pattern and sometimes choosing the Whisper White patterned side. I used the remaining little 2" strips to cut out coordinating envelopes with the Love Notes Framelits. It's a tight fit to get the framelit on that scrap, but if you position them just right, you can get two envelopes from each leftover strip. I just LOVE the little mini envelopes those framelits create! Close up the flaps with just two Glue Dots and pop it up with Dimensionals onto the circle medallion. I added a small Blushing Bride Glimmer heart, die cut from the Mini Treat Bag Thinlits. Love Notes Note—I also used the Love Notes Framelits to cut a tiny note that fits inside the envelope. I stamped Sealed With Love hearts on it with Blushing Bride ink, and a sentiment from the same stamp set in Pool Party ink. I love that the little note can be used to put a sweet message on the candy pouch! You know kids will love that detail, too! Adorable! 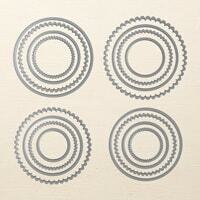 Too Cool—Here's another one of the many examples that I created from the paper pack. So fun to mix & match patterns! What a fun class treat that you can make WITH your child, to share some quality, creative time together! That's the sweetest part of all! Bundle It & SAVE! 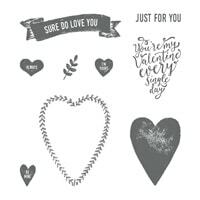 Purchase the Sealed With Love stamp set and Love Notes Framelits together in a Bundle to save 10% off the cost of purchasing them separately! Receive 2 FREE Teacher Gift—When you order two class kits, I'll throw in two matching, handmade Sending Love Valentine's Hershey's Nugget Tins that make great teacher gifts! Take the class with two of your children, or have your child bring their friend (and parent)! Or create two kits to cover bigger classes. Whatever the reason, two kits = two tins! Contact Me By January 23 To Register! Introducing The New 2015-2017 In Colors! "Last Thursdays" Class—4 cards for $10. May 28, 6:30pm. 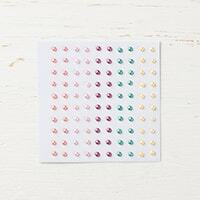 Stamper Sampler—Class-To-Go kits available thru May 27. Retired List (sortable Excel file)—See which items are retiring on June 2. I have sent out emails to everyone on my list who will be getting a catalog, so if you did not get an email and still want one, please let me know! Also, if you did receive an email and no longer wish to receive a catalog, please let me know that, too, so I can update my mailing list! Thank you! Do You Want A New 2015-2016 Annual Catalog?! If you are not already purchasing from another demonstrator, I would love to send you a copy of the brand new catalog! Check out the 5 Ways You Can Receive A New Catalog! Wishlist Contest! Win $50 In Products! You'll definitely want to peruse your new catalog right away so you can fill out your wishlist and email it to me for your chance to win $50 in FREE PRODUCTS of your choice, and other fun prizes! Stay tuned for details on June 2. Download Your Wishlist Now!, so you're ready to go! Let's Meet The New 2015-2017 In Colors! 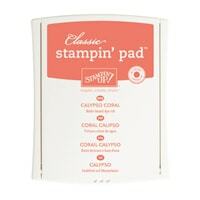 With the release of every Annual Catalog, Stampin' Up! releases 5 new, trendy colors that will only be available for a limited time—just 2 years! Here's a sneak peek of the brand new colors coming our way in the catalog that's coming out on June 2! ►Please note that the true colors are only as good as my camera can capture and your screen can display. I've included swatches of current colors for comparison purposes to give you a better idea of the color. NEW Cucumber Crush—What a fun & fresh green that's perfect for spring & summer projects, and will give a trendy look to holiday projects, too! 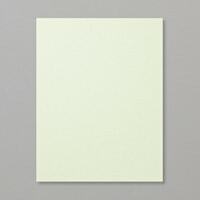 It's much brighter than Wild Wasabi and much lighter than Garden Green. 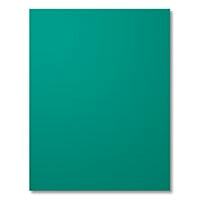 It kind of reminds me of a kelly green! Looks Great With: Anything from the Brights Collection! I especially like it with Bermuda Bay, Tempting Turquoise and Pacific Point. 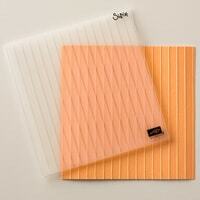 NEW Envelope Paper—How do you like the striped paper? 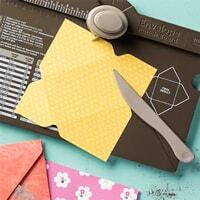 It's from a brand new paper pack that's perfect for making handmade envelopes. This 12x12" text weight paper comes in a pack of 20 sheets: 2 each of 2 double-sided designs in all 5 new In Colors! 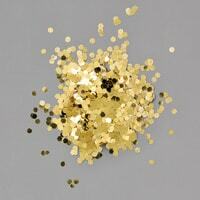 NEW Delightful Dijon—For anyone who's missing the old More Mustard, you'll love this rich, earthy, golden-yellow shade! It's going to be a go-to color for fall projects, without a doubt! Looks Great With: It's nearly a neutral shade, so it is versatile enough to be paired with lots of colors! I like it with any of the 2014-2016 In Colors and with most of the jewel-tones from the Regals collection. More Mustard v. Delightful Dijon—I couldn't resist showing you a comparison with More Mustard. You can see that Delightful Dijon has a little more brown and is a hint darker than its retired counterpart. NEW Mint Macaron—Oooh, I really like this one! This color is kind of a mix of Lost Lagoon and soon-to-retire Pistachio Pudding. It's a little darker and greener than Pool Party. It really reminds me of the old Sage Shadow from days gone by. I love this color for soft accents and I hope that it gets used in a wintery color combination for the holidays! Looks Great With: Calypso Coral, Watermelon Wonder, Delightful Dijon, Old Olive, Island Indigo, Bermuda Bay, Tip Top Taupe...and so many others! 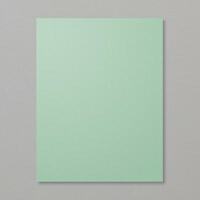 Sage Shadow v. Mint Macaron—The old Sage Shadow is a little bit darker and more blue than this new In Color. It's a fresher version, in my opinion. The Great Debate! There is already a great debate going on...is it pronounced Ma-ca-ROON or Ma-ca-RON? Even though it doesn't seem right to say, I agree that it's -RON. NEW Tip Top Taupe—Finally! I've been hoping for a taupe-colored neutral for years and I can't wait to start playing with this new basic shade! 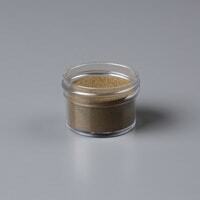 It's a hint darker and grayer than Crumb Cake and it's a darker shade of Sahara Sand. Looks Great With: Combine this with other neutrals for a classy & elegant color combo. It will also look amazing with just about any other color! I can't wait to try it with any of the blue-green colors like Lost Lagoon, Island Indigo, Bermuda Bay, Mint Macaron and Pool Party. I also think it will look great with Pink Pirouette, Rose Red or Watermelon Wonder. NEW Watermelon Wonder—Another bold & bright color that will add some eye-catching accents to spring & summer projects! It will also be a fresh color choice for fall leaves! 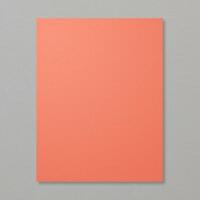 This pretty color is more orange than Melon Mambo and more pink than Calypso Coral. It reminds me a lot of the soon-to-retire Strawberry Slush, so I included it on the swatches. Strawberry Slush has a little more pink in it. Looks Great With: Anything from the Brights Collection, but also fun with Pear Pizzazz, Pool Party, Crushed Curry and even Elegant Eggplant! I can't wait to start playing with these fun, new colors! 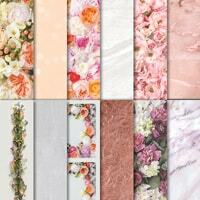 I love mixing and matching them with our current collections to find fresh color combinations! So much fun! You'll definitely want to have the 2015-2017 In Color ink pads, refills, card stock and markers at the top of your new catalog Wishlist! 2015 Retired Stamps & Accessories Lists! Many Items Discounted Up To 50% off! CLASS: Dec. Countdown To Christmas—Ornamental Pine. Register by Nov. 19. CLASS: Dec Stamp-of-the-Month—Get Your Santa On. Register by Nov. 25. 2014 Holiday Catalog PDF—Browse items Online. There are just 4 more days to register for my All Is Calm Monogrammed Gift Set! For just $20, you'll create three adorable, personalized gifts: Box of 6 cards, Sticky Notes Holder and a Magnetic Scratch Pad. Perfect for giving as a set or individually! Plus, they are easy to duplicate if you need to make more gifts! Today, I'm giving you a closer look at the box of 6 cards that we'll be creating at this class! You can find details about the other projects in this class on this post: Two Cool Monogrammed Note Holders. Card #1—Starts with a Pear Pizzazz card base and a 4" x 2-1/4" piece of dotted All Is Calm Designer Series Paper. 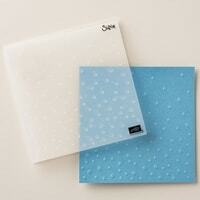 Another piece of 4" x 3" Pear Pizzazz is embossed with the Fancy Fan Folder and edged with a 4" x 1/2" piece of Soft Sky. Monogram Medallions—Each monogram is stamped with a letter from the retired Lovely Letters set in either Olive Green or Lost Lagoon ink onto Whisper White, then punched with the 1-1/4" Circle Punch. It's layered onto a 1-3/4" Circle punch of All Is Calm Soft Sky dotted DSP, then on either a Pear Pizzazz or Lost Lagoon 2-3/8" Scallop Circle shape. The monogram medallion is popped up with Dimensionals. Card #2—A Lost Lagoon card base layered with a 4" x 2-1/4" piece of dotted All Is Calm Designer Series Paper on the bottom. Another piece of 4" x 3" Lost Lagoon is embossed with the Fancy Fan Folder and edged with a 4" x 1/2" piece of Soft Sky for the top. Card #3—A Pear Pizzazz card base layered with a 5-1/4" x 1-1/2" piece of striped All Is Calm Designer Series Paper along the top. Another piece of 5-1/4" x 2-1/2" Pear Pizzazz is embossed with the retired Lacy Brocade Folder and edged with a 5-1/4" x 1/2" piece of Soft Sky at the seam. Card #4—A Lost Lagoon card base layered with a 5-1/4" x 1-1/2" piece of striped All Is Calm Designer Series Paper along the top. The 5-1/4" x 2-1/2" piece of Lost Lagoon is embossed with the retired Lacy Brocade Folder and edged with a 5-1/4" x 1/2" piece of Soft Sky at the seam. Card #5—A Pear Pizzazz card base layered with a 5-1/4" x 2" piece of Pear Pizzazz patterned All Is Calm Designer Series Paper along the top. 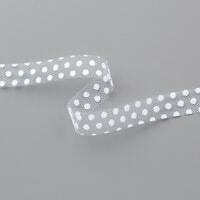 Another piece of 5-1/4" x 2" Pear Pizzazz is embossed with the Decorative Dots Folder and edged with a 5-1/4" x 1/2" piece of Soft Sky at the seam. Card #6—A Lost Lagoon card base layered with a 5-1/4" x 2" piece of Lost Lagoon patterned All Is Calm Designer Series Paper on the right side. Another piece of 5-1/4" x 2" Lost Lagoon is embossed with the Decorative Dots Folder and edged with a 5-1/4" x 1/2" piece of Soft Sky at the seam. The Inside—The insides of the cards have a 5" x 3-3/4" piece of Whisper White that's stamped with the Dotty Angles dots in Soft Sky along one of the edges. Matching Envelopes—We'll emboss the flaps of each of the envelopes with the coordinating Texture Impressions Folder: Fancy Fan, Lacy Brocade or Decorative Dots. TIP: I ran them through the Big Shot on "no tabs" so it wouldn't impress the paper too deeply and possibly tear it. Gift Box—The cards fit nicely inside an A2 Crystal Clear Card Box that I purchased from ClearBags.com. The box is wrapped with a pretty Pear Pizzazz Chevron Ribbon—ready to give! Want to join us as we make these awesome & duplicatable stocking stuffer gifts next Wednesday? 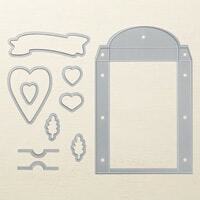 RSVP now for the All Is Calm Monogrammed Gift Set local class or a Class-To-Go kit! Thank you so much for ordering from Too Cool Stamping! 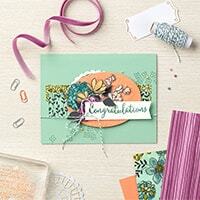 Create 12 cards (6 each of 2 designs) in this stamp-a-stack style class. Kit includes the Ornamental Pine stamp set, 5 yards of Real Red Woven Satin Ribbon, a jar of Dazzling Diamonds, 1 Stampin' Sponge, 1 sheet of Dimensionals, and all the supplies you need to make the 12 cards! Class-To-Go Kits are available. 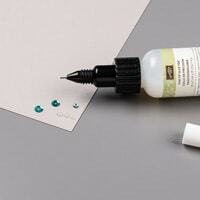 Be sure to order the 2-Way Glue Pen add-on for just $5 more for your glitter application and to help your clear mount stamps stick to your block better. See Complete Details For The Ornamental Pine Class! Pre-paid Registration by November 19, 2014. Contact me today! Create 3 matching monogrammed stocking stuffer gifts featuring the All Is Calm Designer Series Paepr. Give as a gift set, give them as separate gifts, or keep them for yourself! 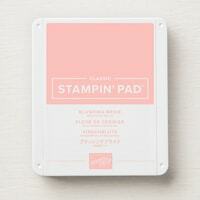 We'll make a Box of 6 cards, a Sticky Notes Holder, and a magnetic Scratch Pad Holder. See Complete Details For The All Is Calm Monogrammed Gift Set Class! Register by November 18 at 5pm. 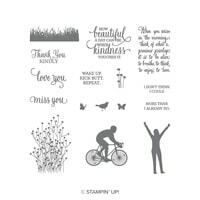 CLASS: TC Stamper Sampler Class—Sept. 16. Fun & Festive Boxes! CLASS: Countdown To Christmas Class—Letterpress Winter. October 4. CLASS: Stamp-of-the-Month—For All Things. October 9. Last month at our Too Cool Demo Team meeting, one of our newest members blew us away with an amazing "Birthday In A Jar" gift idea! I'm sure you know the "in a jar" gift concept, right? Fill a jar with all the essentials to make something special or add to a special event. You've probably seen Cookies In A Jar or Salad In A Jar or Spa Day In A Jar or even Baby Shower In A Jar. The Jar—Lots of "in a jar" projects come in mason jars, but Janet needed something a little bigger. She found this nice size jar that was big enough to hold a traditional A2 card. I think she said it was from Meijer, but you can find similar ones at Target, Wal-Mart, etc. A lift-off lid was included with the jar. Chalkboard Label Décor—This jar came with the chalkboard label on the front, which is nice because the recipient can re-use the jar later and write their own label. You can always buy a plain jar, then purchase some self-adhesive chalkboard paper and make your own label. Color Combination: Blackberry Bliss, Hello Honey, Sahara Sand & Whisper White. Birthday Banner—Inside the jar, the recipient will find a fabulous birthday banner that Janet created with the Banners Framelits Dies, Moonlight Designer Series Paper Stack and a little help from her Cricut E-cutter! Along with the words "happy birthday", she added decorative Moonlight DSP pennants, also cut from the Banners Framelits Dies, as well as coordinating stars made with the Stars Framelits. Each Crumb Cake card stock banner was punched at the corners and threaded on a long piece of Baked Brown Sugar Baker's Twine. Tasty Birthday Treat—Janet filled a small cello bag with candies and created a Moonlight DSP pennant topper. It's tied with more Baked Brown Sugar Baker's Twine. Cupcake Toppers—Speaking of treats, Janet included some cupcake topper flags to match the birthday décor. They are made with the Moonlight DSP, die-cut and the Bitty Banners Framelits, and wrapped around toothpicks. Birthday Card—Of course, no Birthday In A Jar would be complete without a handmade birthday card! Janet continued the banners and stars theme, accenting with more twine and adding a Perfect Pennants sentiment. Thank You Notes—When the party's over, these 3x3" notes will come in handy to thank guests for joining in the celebration. Janet stamped the sentiment from Another Thank You and made coordinating envelopes with the help of the 2014-2016 In Color Designer Series Paper Stack and the Envelope Punch Board. Great For College Students! Wouldn't this be the perfect gift to send to your son or daughter who's away at college? These thoughtful, handmade gifts will give them a little extra love from home and help them celebrate in style on their special day! Thanks so much, Janet, for sharing your awesome idea! Join us Tuesday, September 16, as we create 6 adorable boxes in a variety of styles and sizes. You'll learn helpful tips for successful box assembly and see fantastic ideas for decorating your boxes, too! Plus, I'll share some cost-cutting tips to help you decide which box style would work best to create favors for your upcoming holiday parties and special events! See Complete Details For The Fun & Festive Boxes Class! Class-To-Go Kits are available. Just add stamping and adhesive! This Is A Stamp Club Class Option—My Too Cool Stamp Club members may select this class at a discounted price! Learn more about the Too Cool Stamp Club. RSVP By September 15, 2014. Space is limited for this event. Contact me to sign up today!